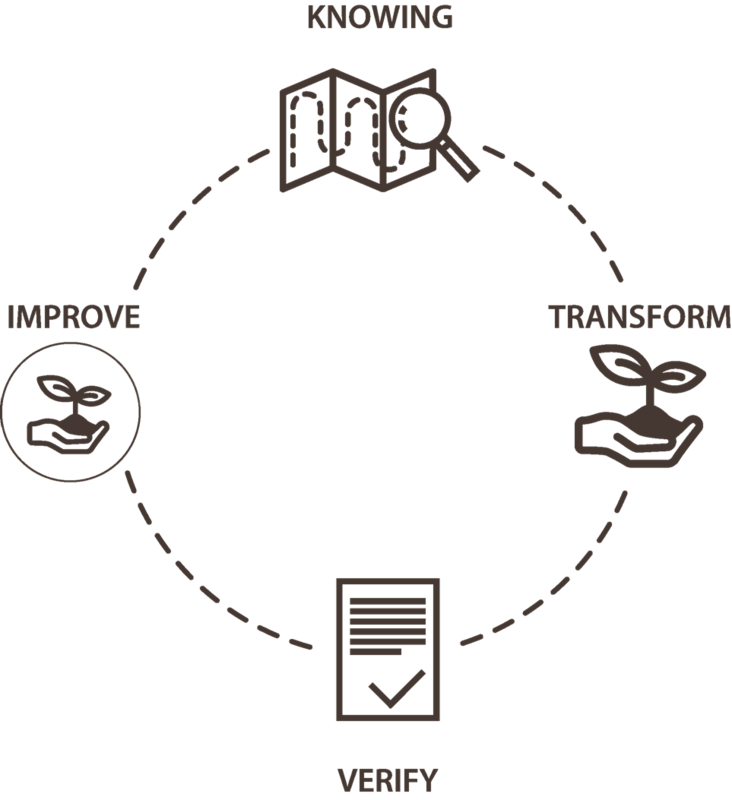 Our work in transforming the cocoa network is based on a method allowing for the deployment of action plans adapted to each community. It first involves getting to know the 60,000 planters participating in the program and how they are organized so as to be able to best control the quality of the cocoa that is delivered and identify areas of improvement. Subsequent to identifying these areas of improvement, it will then become possible to implement action plans specific to increasing the professional role of each of these actors. These actions will then be reviewed by outside actors and improved upon based on the results. Knowing the entirety of the network is knowing all of the actors who participate in the transformation of the cocoa into chocolate. The CÉMOI group is present at each step. The planter : The cocoa producer manages one or several plantations where (s)he cultivates the cocoa. The cooperative : Unites a group of producers to ensure the harvesting of the cocoa and the commercialization of their products. The Chocolate Plant : Transformation of the cocoa paste into chocolate. The Store : Commercialization of the products. In this way, the program strives above all to support the planters and the cooperatives in increasing their professional role. Increasing the professional role should have a long-term impact on the transformation of the rural areas by allowing the planters and cooperatives to finance their development projects. Having outside partners verifying the advancement of the project with performance indicators is essential for monitoring the program.